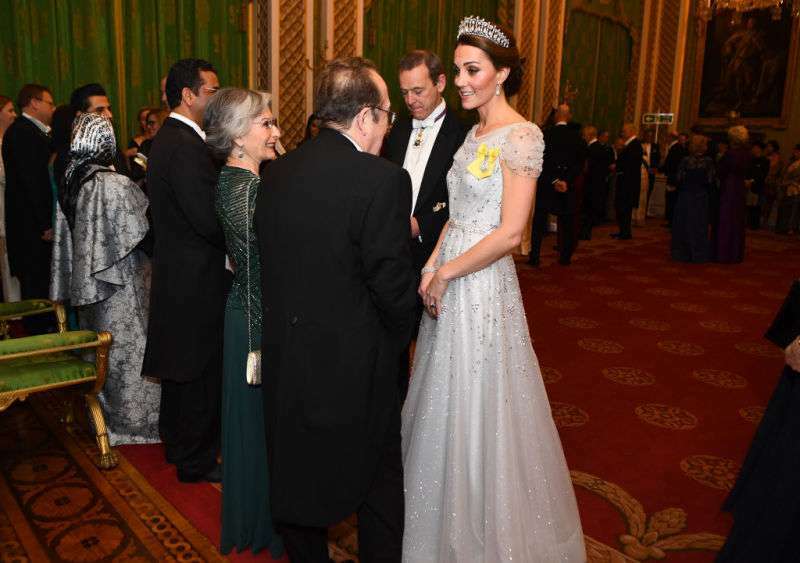 At the recent event held at the Buckingham Palace, Queen Elizabeth and the Duchess of Cambridge were the belles of the ball, turning heads and breaking necks as a result of how amazing they looked. Kate Middleton looked like she just walked out of a fairy-tale in a sequinned off-white Jenny Packham gown which had sheer capped sleeves. However, that wasn't the most eye-catching thing about her outfit; that distinction was given to the the accessory which topped her it off: The one and only Lover's Knot Tiara. Fans would recall the tiara was a wedding gift to Princess Diana. 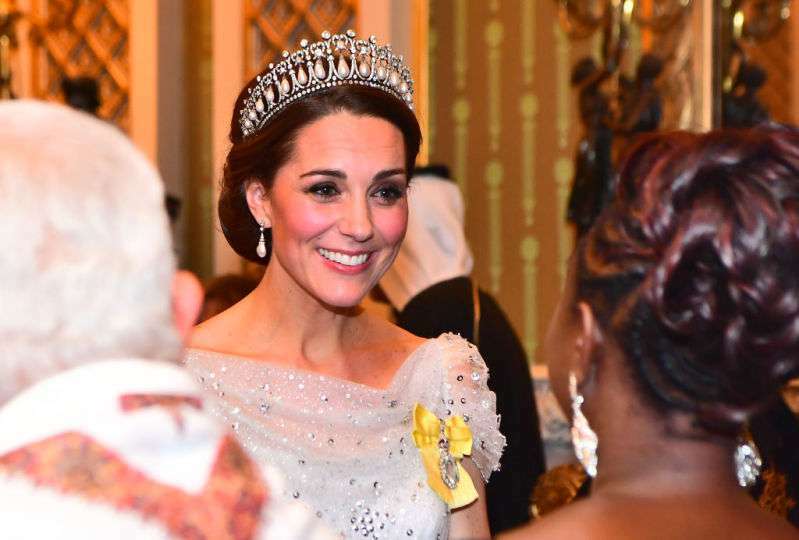 Kate had on other jewelry, including beautiful pearl earrings, and a diamond bracelet. 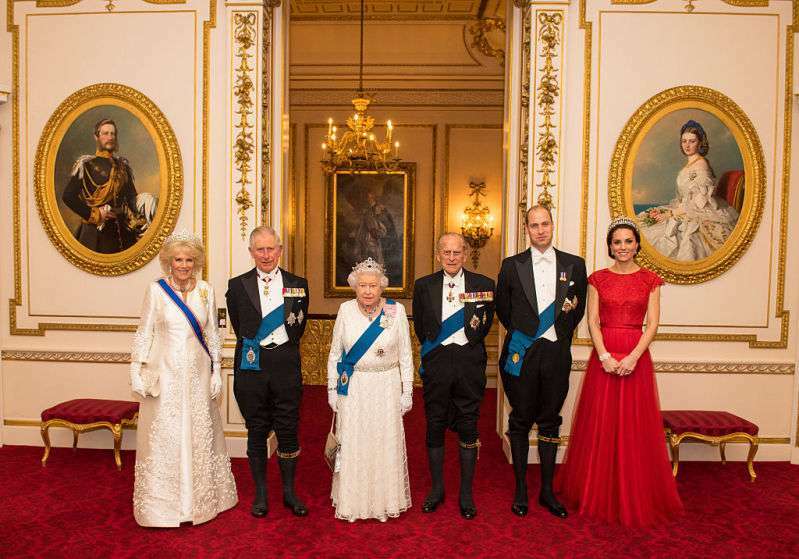 The Duchess of Cambridge recently received the yellow brooch of the Royal Family Order of Queen Elizabeth, and didn't hesitate to wear it to the event. 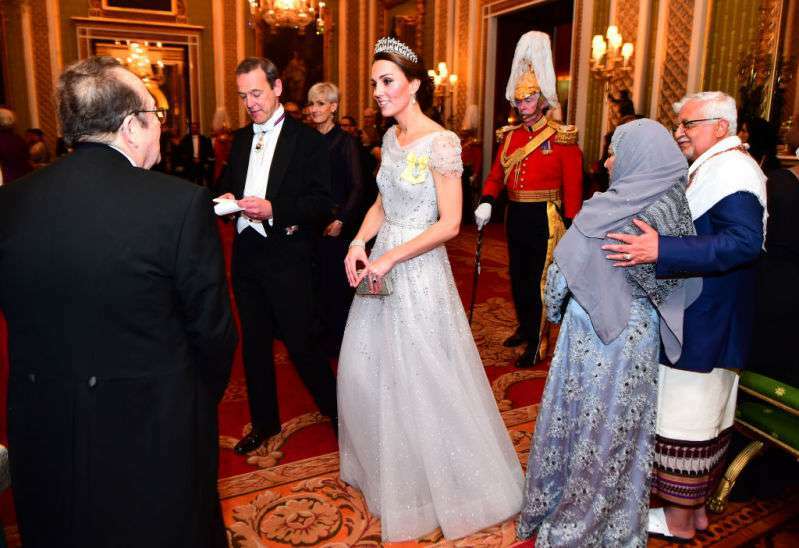 The ball was the Queen's annual reception for diplomatic Corp members, held at the Buckingham Palace. 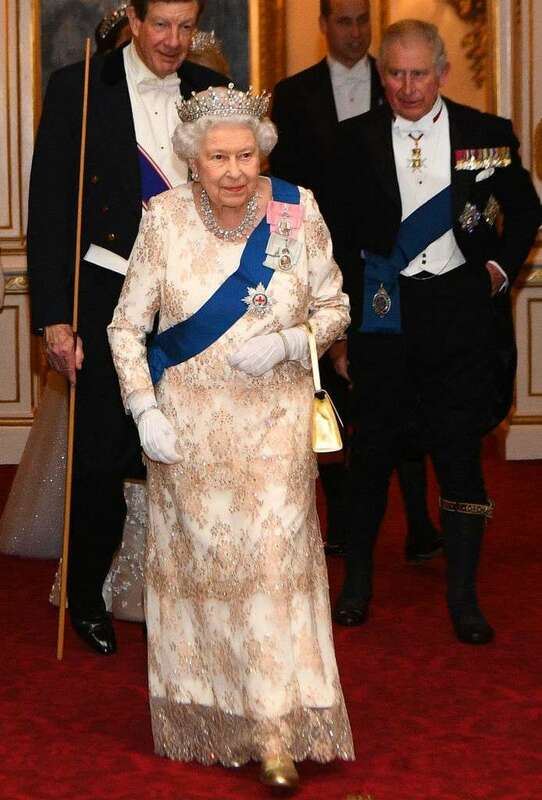 All in attendance would agree that one of the highlights of the night was the grand entrance made by the Queen, Kate Middleton and the Duchess of Cornwall, Camilla. Queen Elizabeth and Camilla made their grand entrance with Duchess Kate behind them, and to everyone's delight, the three women had coordinated off-white gowns. READ ALSO: Queen Elizabeth Rarely Wears Trousers But She Chose To Wear Them For These Special Occasions! The Queen looked resplendent in her off-white gown with a tiered lacy overlay, which she then paired with amazing gold shoes. 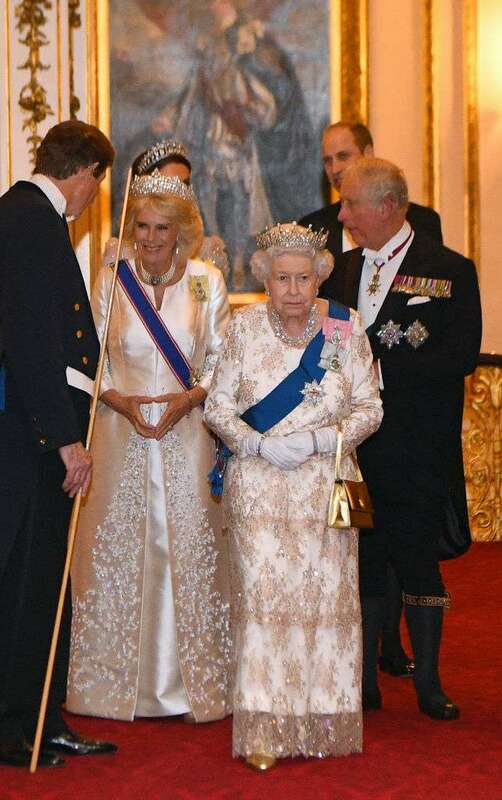 Camilla, the Duchess of Cornwall's dress, came with a delicate beaded detailing and both she and the Queen had on lovely tiaras as well. Interestingly, the Duchess of Cambridge and her husband, Prince William, traveled to the event from Kensington Palace, their home, hours after hosting a children's party in honor of military families. Prince William and Kate Middleton have attended five of these annual bashes, and they sure nailed their looks, especially Kate!